Everything that flows moves in rhythm with the moon. She rules the Water element on earth and therefore our emotional selves. So it is Gibbous Moon already – and the time of the lunar cycle that I was born under. And here is blog number 4 as I continue to document my own experiences as I take the MoonFlower Moon Combinations to support me through the ebb and flow of life from New Moon through a whole lunar cycle of 29 days through to Dark Moon. My own life journey led me to knowing and feeling my own cycle in a very profound way. 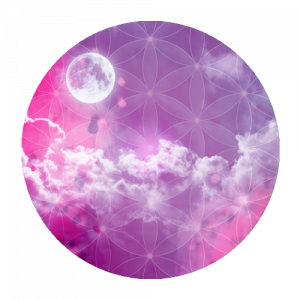 I intuitively began working with moon cycles many years ago and to this day set intentions on the New Moon and watch how my energy waxes and then wanes with the cycle of the moon. Setting intentions in this way and journaling my experiences allows me to continually renew myself and my intentions in harmony with nature. As I take the MoonFlower essences in this very conscious way as well to support this cycle, I am really noticing how I and so many others are all really so influenced by the moon and how we can so easily wobble when we flow with the energies of STEPPING OUT towards the biggest and best person we can possibly be. In this aspect of the moon phase, our energy is increasing as the moon moves towards her fullness. We grow in confidence and courage, we begin to speak out our dreams and are more able to access strength and support from all that surrounds us. Yet at the same time, our fears and insecurities may also be felt very strongly in our physical, emotional and spiritual selves. Knowing this this is so is very empowering and I so always advise my students and clients to check in with those around them when they are “wobbling” and more often than not, others are feeling the same. It helps so much to KNOW that it is not JUST US who feel this way. Flower essences are a really useful way to support these moments of “wobble” and to resurrect within us the opposite energies e.g. when we feel like giving up, we can take Oak or Red Rose for courage; when we are blown around by life circumstances, we can take Windflower and when when needing to refind the self worth and value in our hearts, we can take Gold Essence. ( All of the above apart from Oak are in the Bud Moon Combination). So what has my own Bud Moon experience taught me? That I LOVE this period and that my own energies and inspirations are high at this time ( which is no surprise as I was born in this moon phase); that I speak out a little more than usual and that to some this is a surprise! Also that I really need to build in self-care in this period as my enthusiasm runs high and I can get tired. I have spent this period really putting into action many of the intentions I set at New Moon. This feels like a very creative and fertile time for me and all that I do. Yes there have been moments of seeing my own reflection and hesitating momentarily – shall I or shan’t I? I take a deep breath, centre myself back into my heart and take one more step forwards. Imagine how empowering you will feel knowing that each lunar cycle you can be supported in wiping the slate clean, connecting with your heart visions and planting your seeds of intent once more. The best part is when they begin to come true.